Blogging about #iot since 2005. No I'm not sure why I still bother either. Wrote a book about smart homes which you totally want to buy or check out the Good Night Lamp. Made it to the Top 100 Most Influencial Women on Twitter in the technology sector. Thanks Business Insider. One of 100 nice people in a nice part of town. 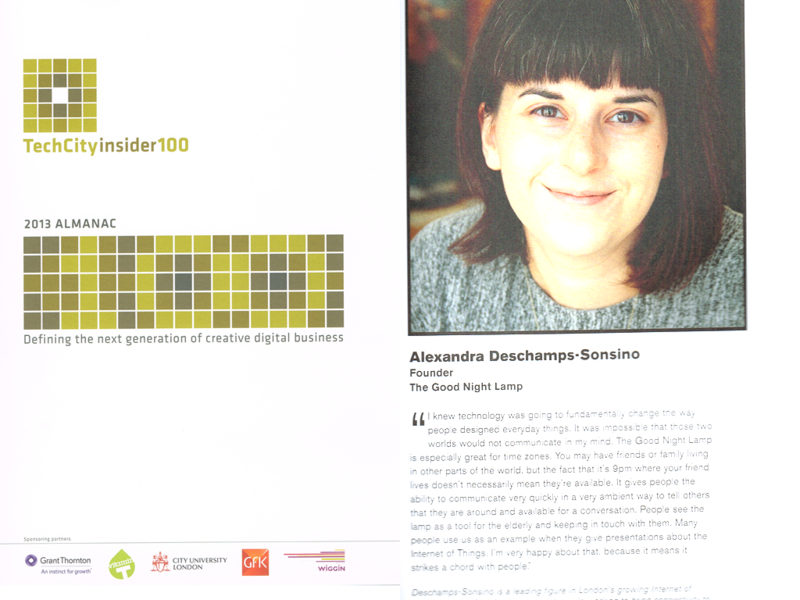 I was included in the top 100 Tech City Insider Class of 2013 (providing me with an up to date picture too). That’s nice of them.